Our knowledgeable and experienced team of insurance professionals operate from our premises on the outskirts of Peterborough, delivering competitive insurance with a personal service that businesses and personal clients can depend upon. Having the experience in customer service and risk placement built from our formation in 1993, to joining Broker Network, the UK’s largest network for independent commercial brokers, Insurewise have access to the best insurers and rates possible. From Commercial Combined Insurance, to a well-established portfolio of Children’s Homes products serving organisations around the country, we’re confident we can source a carefully selected insurance package for you. 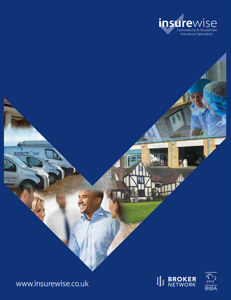 Click on the link below to view our corporate brochure. @SuzDickens @SOGreatBritain @neneparkgolf @thefaneclinic @EngGolfDis @GolfCambridge Good Luck @SuzDickens from us all at Insurewise. Hugh Byrne, Managing Director, Forte Developments Ltd.